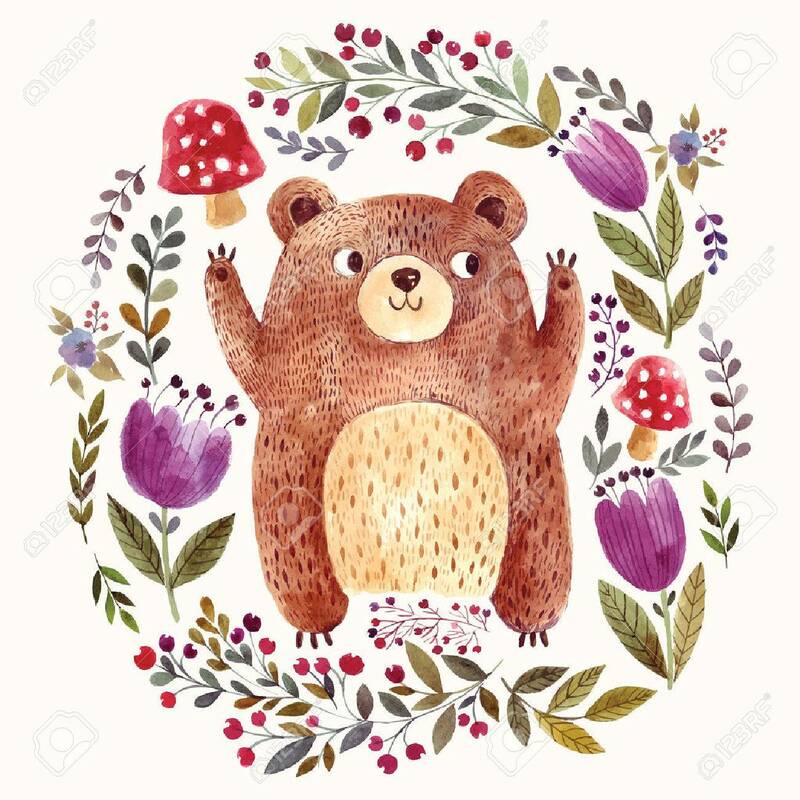 Vector Illustration: Adorable Bear In Watercolor Technique. Beautiful Card With Cute Little Bear. Royalty Free Kliparty, Vektory A Ilustrace. Image 43206390.